This site is all about wanting to make the sometimes mysterious and confusing world of plumbing a less exasperating one for you, the non-professional or new careerist plumber. Do you have a plumbing question? If I can answer it, I will. As per the introduction to my newly revised and expanded book Plumbing A House, I do not have a background in well pumps or septic tanks, so those topics are off limits for now. In time, I may be able to build a list of willing experts in those fields who I could refer you to, so stay tuned. 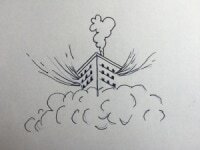 On my blog page “In The Pipe,” I’ll be explaining a lot of new developments in materials, tools and products as they “come down the pipe.” It should be some unpredictable and fun reading, so don’t wander too far off. 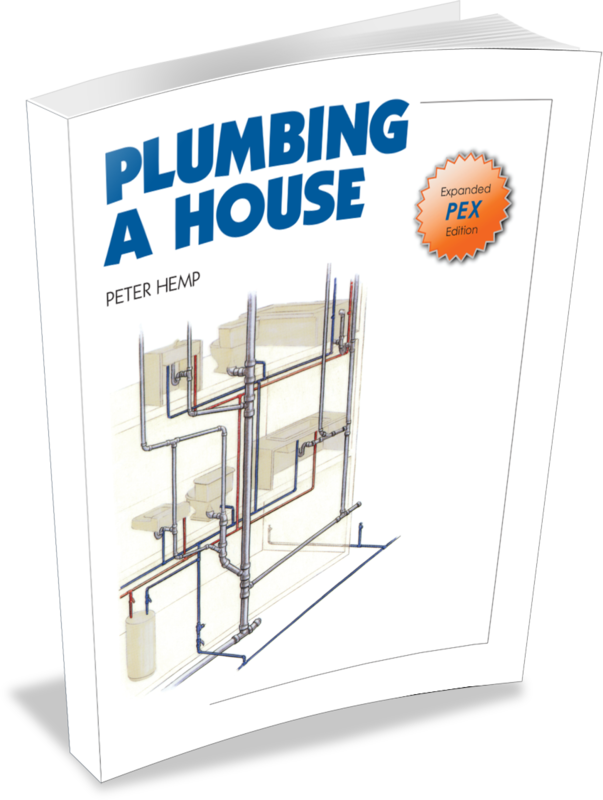 GO TO "IN THE PIPE"
Newly Revised & Expanded PEX Edition of Plumbing A House, now available. One of the biggest rewards to being a plumber is the enjoyment of your long faithful clients. It so happens that Pete the Plumber has a client recently retired from a very successful screenwriting career: an Academy Award and numerous box office bonanzas. It is this client who asked me to put to paper (so he could “play” with it) a ‘funny’ true-life story I had told him over a snifter of brandy after finishing up a repair in his home. (That was a long time ago.) But, with book writing and four young children there never was found the time for this chore, until many years later, with an empty nest. When yours truly eventually did do the deed, my friend had retired from writing. Pete the Plumber, when not writing plumbing instruction or blogging at In The Pipe, just can’t refrain from the simple act of writing…something. This addiction has resulted in a collection of children’s stories, involving a plumber, of course. When the author wrote these tales he had hopes that someday he’d find an illustrator to illustrate them. Rather than waiting any longer for a day that’s now looking less likely to dawn, he decided to share them, as is. The author (father of four) believes these Pete the Plumber stories are suitable for reading to a child of 3 or 4 years, or for a solo young reader up to the age of 10 or 11. The tales are chronologically linked. Purchase the inaugural Pete the Plumber Goes To Work, and if you find it to your liking, try the succeeding titles. At ninety-nine cents each, you cannot go that far wrong. This story is a slice of memoir, as is Me and Angie. And, as the latter, the author wished to share it with the reading public, not simply his descendants. Have you ever driven on a lightly traveled highway, way out in the middle of no man’s land, either clawing up a steep mountain or traversing a desert in pelting rain or scorching sun? And, have you ever wondered why an individual would want to place themselves in such circumstances?...on a bicycle? Well, the following story, Three Wheels To Bliss is this author’s explanation of why this occurs. Note: This is a very large PDF file (122 MB)...download times will vary depending upon internet speed!